Most people think of Telnet as “that thing I used to use to remotely access servers.” But a few hearty souls are still keeping their Telnet services online — and it’s a great way to experience some good old-fashioned time-wasting fun! Although, as a work tool, Telnet has long been deprecated in favor of the Secure Shell (SSH), a few minutes of exploration quickly reveals that there’s still a whole forgotten subculture around the places Telnet can take you to. “Connect to other servers through Telnet to view their animated ASCII art, games, etc,” explained a directory at Mewbies, a site offering tutorials on “the installation and usage of (mainly unconventional) softwares.” Last updated in 2014, the web site includes a list titled “FUN ON THE TERMINAL” — along with some simple instructions. If you’re not already accessing Telnet from the command line of your shell account, just paste the site’s Telnet address into any terminal client. The most famous Telnet service is probably the ASCII art version of the original “Star Wars” — yes, the entire movie — which displays in all its glory when you Telnet to towel.blinkenlights.nl (“telnet towel.blinkenlights.nl”). It’s now also lovingly archived and viewable through a web browser at Asciimation.co.nz. “If you have an IPv6 you can watch in color and extra scenes,” points out Mewbies. One of the most remarkable telnet sites is telehack.com (which is also available through your web browser). There a user named Forbin “decided to recreate as much of the ARPANet as possible for people to explore,” according to a 2011 profile at TechRadar. Its offerings include “advent,” the original 1976 text adventure about exploring Colossal Cave, as well as the classic 1966 “chatbot eliza,” which attempted to simulate a conversation with a psychotherapist. There’s even Usenet readers which actually pull up posts from Usenet’s discussion forums from 1990. “Telehack is a kind of game, and there are levels to attain,” explained TechRadar. “When you learn a new hacking skill, a system message from an account called Operator will inform you of your progress. You’ll also gain access to more commands and system resources.” If you eventually run its netstat command, you’ll see a list of more simulated hosts that you can log into. There’s also a way to scan remote hosts for exploitable ports where you can run rootkits to gain full administrator-level access. There’s even a simulation of an old school “wardialer,” which phoned every number in a given area code looking for dial-up modems. Elsewhere around the web, there are still some Telnet directories listing a surprising number of servers offering 1990s-style multi-user role-playing environments like MUDs, Mucks, and Mushes, as well as Telnet-able BBSs (bulletin board systems). 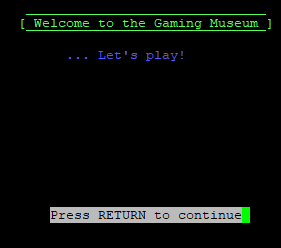 And there are other Telnet servers offering visitors a chance to play some even older games. And the site is even playing the classic Rogue-like, text-based D&D game Nethack (nethack.alt.org). The site points to a Telnet site offering backgammon, at fibs.com 4321. FIBS stands for First Internet Backgammon Server. That site’s webpage points out it has been “Free and non-commercial” since 1992. “Although now abandoned by its creator, FIBS continues to develop through the work of volunteers,” it notes. At IETF.org, you can still find the original 1972 “request for comments” about the Telnet protocol. 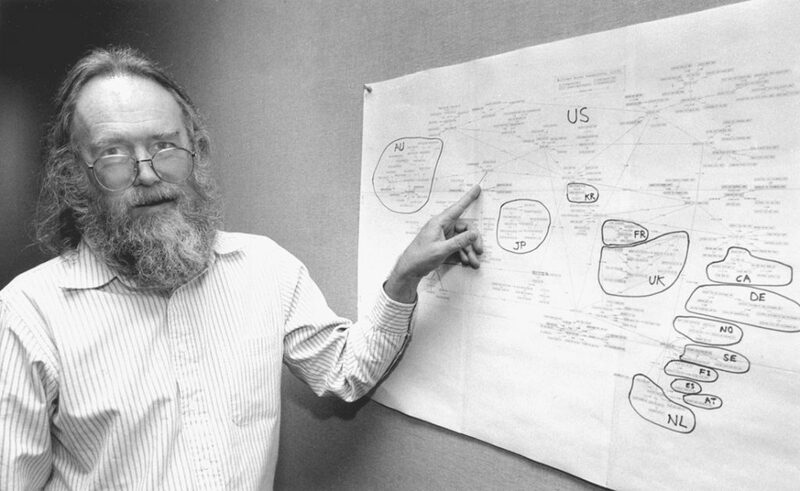 It was written by Jon Postel, an important figure in the early days of internet standard development, who was involved in the ARPANET project while still working on his Ph.D. But the protocol appears to have had an ignominious start. “At the October 1971 Network Working Group Meeting,” Postel wrote, “I promised to promptly produce a document which clearly and succinctly specified and explained the Official Telnet Protocol. This document fails to meet any part of that promise. He goes on to explain that instead, Telnet at the time had an ad hoc protocol, and its ultimate goal was to provide a kind of virtual teletype. It was a frequently-used tool during the early days of the internet — at least before most recreational net users abandoned Telnet’s text-based offerings for the “multimedia” pages available on the World Wide Web. Back in the early 1990s, you could still use Telnet to access files from America’s Library of Congress, access NASA’s latest headlines and press releases, and even read ASCII versions of Supreme Court rulings. But Telnet’s simplicity was ultimately its undoing. Back in 2007 Wired magazine noted that Telnet wasn’t included in Microsoft’s Windows Vista operating system. “Devised in a simpler time, Telnet has no encryption and doesn’t come close to meeting modern security standards for logging onto a remote machine.” Most remote connections now happen using a more secure SSH client like PuTTY. But it’s nice to see that all these decades later, the old Telnet protocol still has a few fans remaining. Last month in Reddit’s programming forum, a developer shared “a Telnet game i made a while ago.” Telnetting to arin.ga 44444 pulled up a fast-paced math quiz where the answers were always either 1, 2, or 3. America’s cities are sometimes run on very old software. Seoul’s museum of robots will be built by robots. Norway’s “future library” of books that won’t be published for 100 years. How Amazon plans to make Alexa more empathetic. NASA scientists think we can use the solar winds on the moon to make water. Has the great moon rush begun?